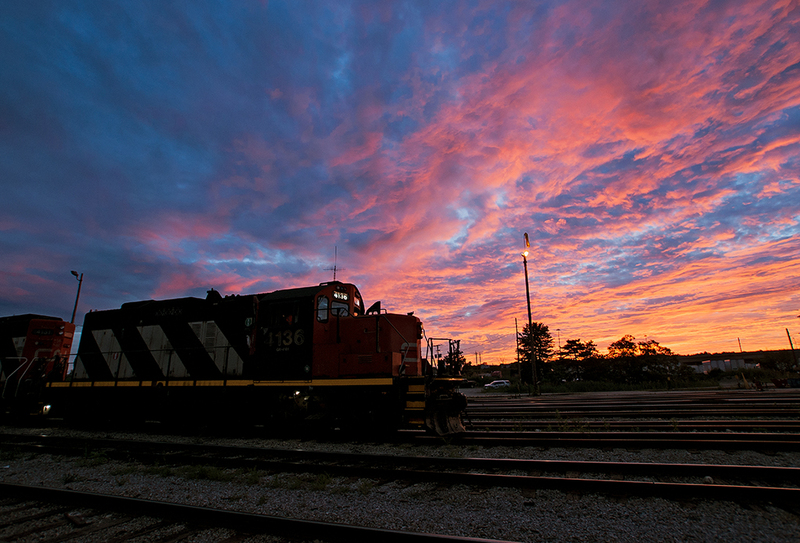 Railpictures.ca - Michael Da Costa Photo: All Set To Go Under a gorgeous fiery sunset at Oakville, our pair of GP9RM’s are set for the nights work load on 543. | Railpictures.ca – Canadian Railway Photography – photographie ferroviaire Canadienne. Caption: All Set To Go Under a gorgeous fiery sunset at Oakville, our pair of GP9RM's are set for the nights work load on 543. Michael do you set out Tuesday eve’s or Wed’s? I’d like to catch you at Clarkson crossing for old time sake. Hahaha, you got it Phil!